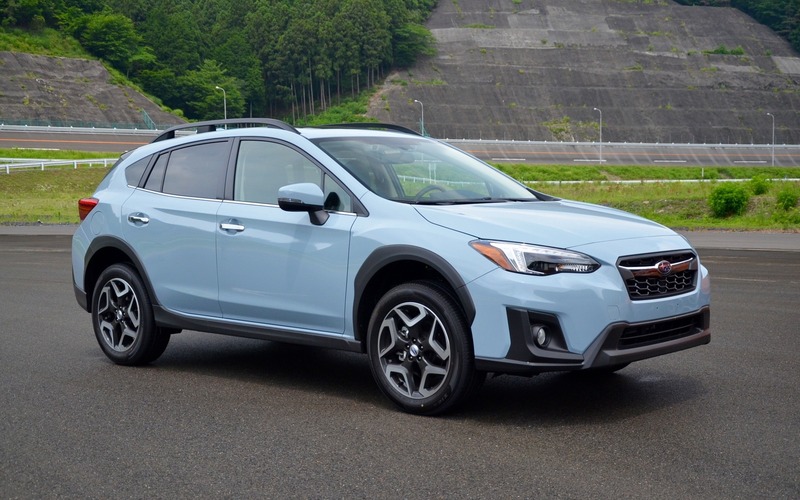 SANO, Japan – For our first encounter with the second-generation Crosstrek, Subaru brought us to its testing centre in Sano, Japan, where we were able to put this vehicle through its paces on asphalt and gravel roads. The vehicle, of course, looks like a genetically modified version of the Impreza, but with a more adventurous side to it. The first thing we noticed was that the new Crosstrek’s style hasn’t changed much. It’s so similar, in fact, that you’d have a hard time telling the old and new generations apart. Subaru doesn’t win any points for design, which still doesn’t seem to be one of its priorities. The fact that we were greeted by a team of engineers—without a single representative from the design department—says it all. While the look remains the same, the Crosstrek’s architecture is all-new. This is the brand’s second vehicle (after the most recent Impreza) built on the Subaru Global Platform (SGP). This structure is particularly rigid in torsion and the engineers in charge of its development were all too happy to give us a pointed demonstration. They positioned the vehicle on ramps so as to completely raise its front left wheel and rear right wheel. Then they opened and closed the hatch repeatedly to show that it was not hindered by bending in any way. The SGP-endowed Impreza got high marks for passenger safety, and even though the Crosstrek hasn’t been tested by the National Highway Transport Safety Administration (NHTSA) or the Insurance Institute for Highway Safety (IIHS) yet, there is every reason to believe it will be just as safe. On the oval track reserved for high-speed testing, the naturally aspirated, direct-injected, 2.0-litre four-cylinder engine had its hands full. This mill also equips the Impreza, but the Crosstrek is a heavier vehicle. Once it got going, the engine demonstrated reasonably good pick-up thanks to a particularly efficient CVT automatic gearbox. The vehicle comes with a six-speed manual transmission—that’s one more gear than the Impreza has—but both shift action and fuel economy are pretty disappointing, especially considering the manual uses more fuel than the automatic CVT. The ideal would be an XT version powered by the WRX’s 2.0-litre turbocharged engine, but unfortunately, that isn’t in the works. Oh well. 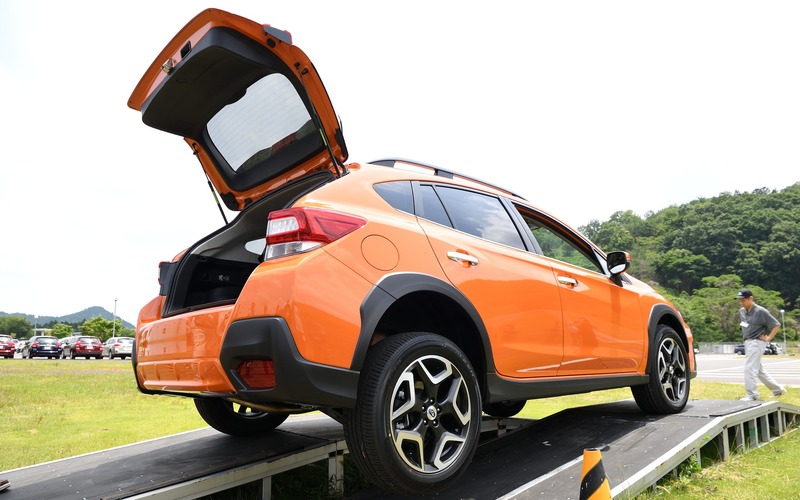 In the obstacle avoidance test at 90 km/h, the new Crosstrek proved much more manoeuvrable and easier to control than the old version, with roll particularly well controlled thanks to the K-shaped crossmembers at the front of the vehicle and the anti-roll bar fixed directly to the rear chassis. On a more winding track, the 2018 Crosstrek’s handling was predictable and reassuring. The steering is borrowed from the BRZ sports car and is also direct, which helps the vehicle take on turns with precision. It also gives you a good feel of the road, making the Crosstrek is as interesting to drive as a German car in that regard. The new Crosstrek is roomier both in front and in back, and the quality of the cabin materials and interior finish are a clear indication of progress. The telematics system has been taken up a notch with colour touchscreens that range from 6.5 to 8.0 inches, depending on the version. All Crosstreks come standard with Apple CarPlay and Android Auto integration, but only the high-end versions get the EyeSight Driver Assist system. Load capacity is 588 litres with all the seats in place and 1565 litres with the rear seatbacks lowered. You can store the cargo cover under the floor by lifting the back part and securing it to two anchors located at the edge of the cargo area, which is pretty clever. 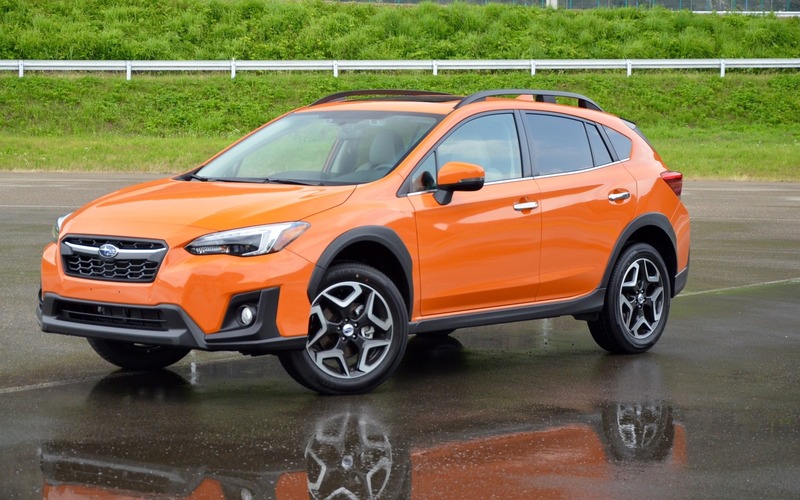 The 2018 Subaru Crosstrek will arrive at dealerships at the end of July with a price ranging from $23,695 to $33,195 depending on trim and options. Subaru vehicles are known for being versatile and having a very good resale value, but they are far from the sexiest on the market. Style tends to play second or even third fiddle. Choosing a Crosstrek remains a matter of the mind, not the heart. Although the new version doesn’t redefine the category, it marks significant progress. 8/10	Very good fuel consumption for an all-wheel-drive vehicle. 8/10	The new Crosstrek is quieter than the old version. 5/10	The 2.0-litre four-cylinder engine barely offers enough power for the heavier Crosstrek. 8/10	Much better than the old version. Apple CarPlay and Android Auto come standard in all versions. 8/10	Handling is safe and predictable, but sporty driving won’t be a temptation with the Crosstrek. 8/10	Built on a very rigid platform, the new Crosstrek is more refined and more dynamic. Spotlight on On the Menu this Week… Subarus!